Continuing the hexapod theme, here’s a few that are sending the message “don’t mess with me, I’m dangerous” or at least, pretending to be dangerous. Beware black and yellow balls of buzzing fury. Pretty scary, eh? 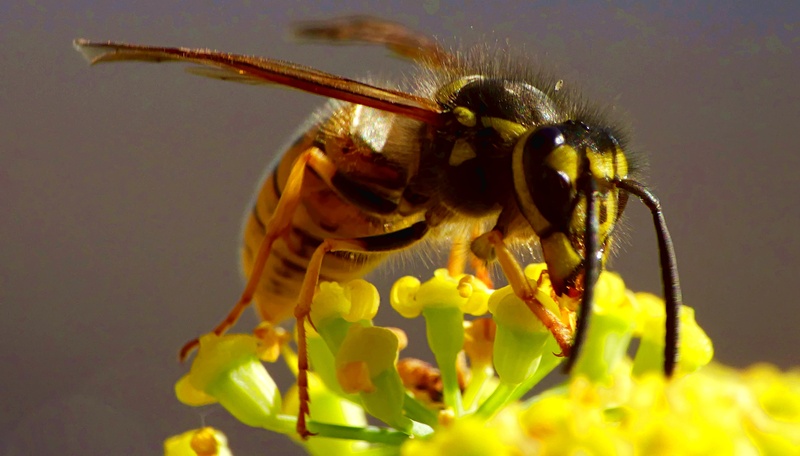 OK, a hornet might be worse, but it only bites and stings if provoked, whereas wasps can just decide it’s not your day, and are much more likely to ruin your al fresco dining experience, especially if you have anything sweet and fruity amongst your comestibles. 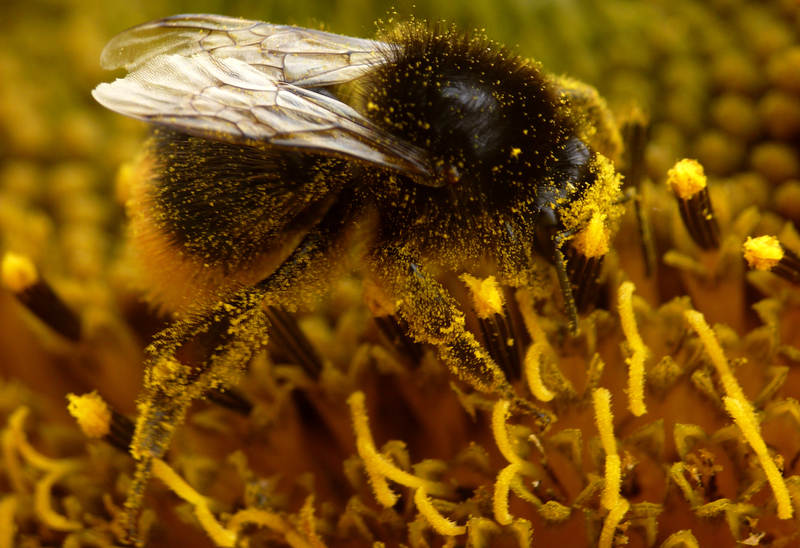 While bees are generally much more amiable, though perhaps not quite in the cuddly category, some strains can be downright bad-tempered, and going too near their hives is definitely not advised. 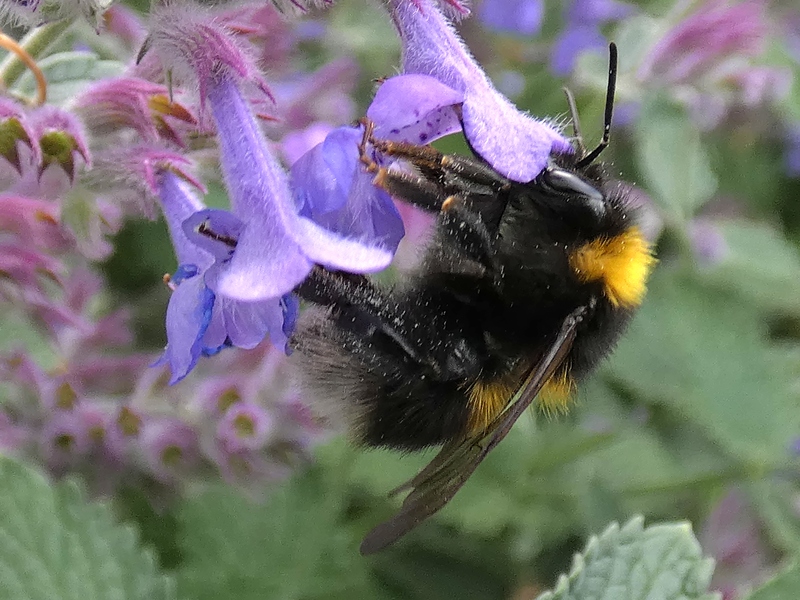 The Scottish Parliament has some hives in its grounds, and sensibly, they chose the most placid bees they could find – a strain that was originally bred one hundred years ago by Brother Adam of Buckfast Abbey, where they are still bred today. The bees’ good nature is of course in stark contrast to that associated with human consumption of the Abbey’s other famous produce. Then there are the imitators. Animal colouration can be categorised as concealing, revealing, or deceiving. 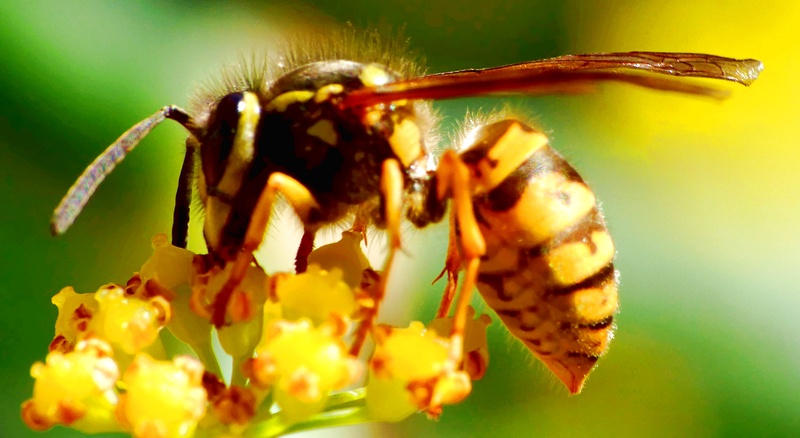 Camouflage colours hide the animal; contrasting colours make it stand out, serving as a warning; and mimicry makes the animal look like something dangerous or distasteful – such the yellow and black colours of many relatively harmless insects that imitate wasps, bees and hornets. 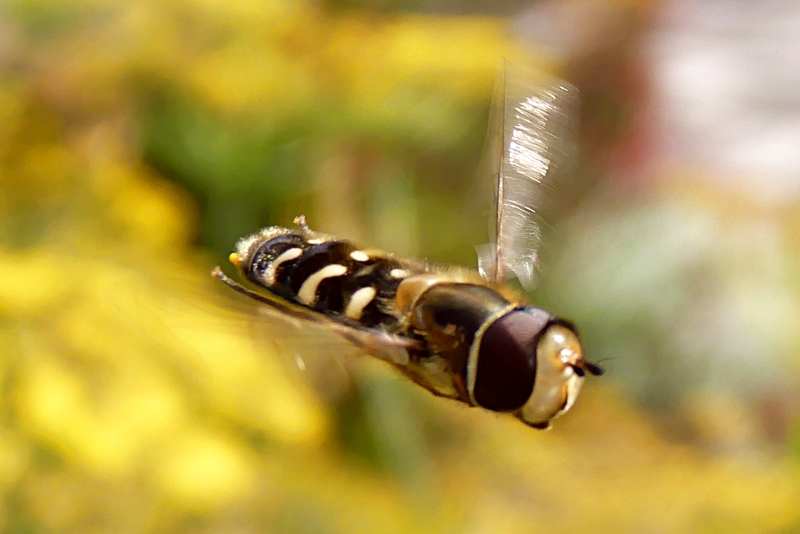 By the way, that’s my reflection you can see on the hoverfly’s back. Now is that not simply stunning – almost like a jewel? 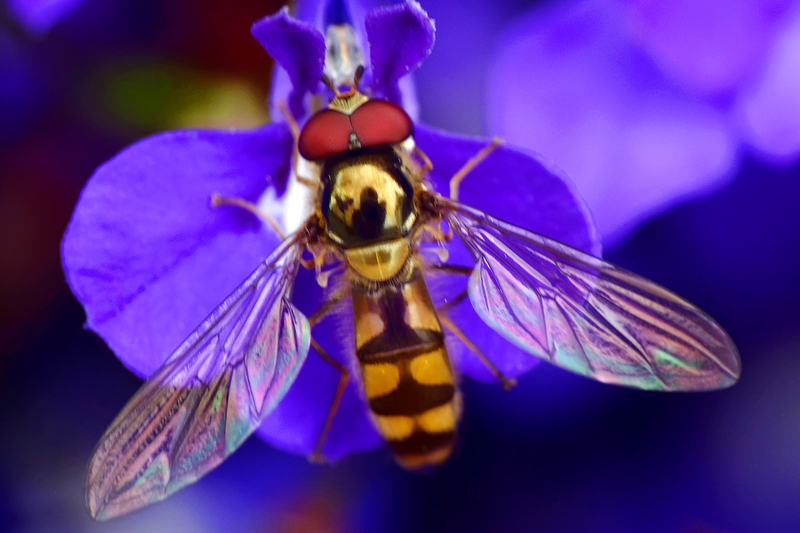 Makes you wonder why you don’t see more decorative hoverfly brooches. 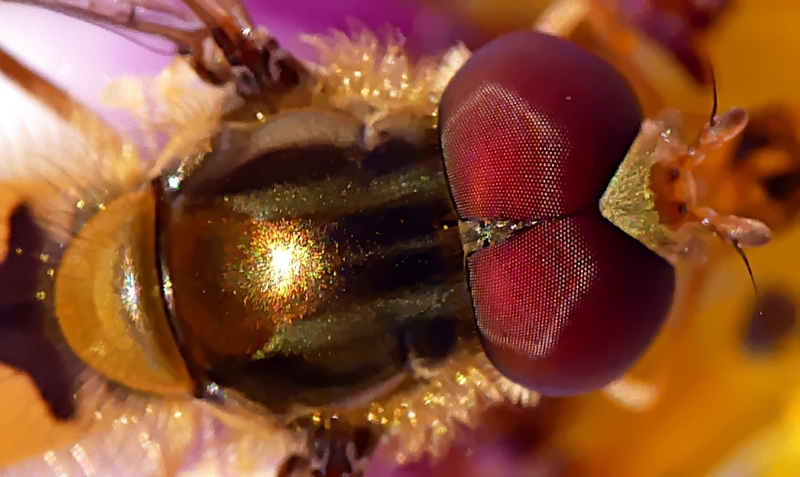 Why should dragonflies, butterflies and ladybirds get all the limelight?